Go to the Black Sheep Cafe this weekend. Order the Goat Burger with the sweet potato fries. 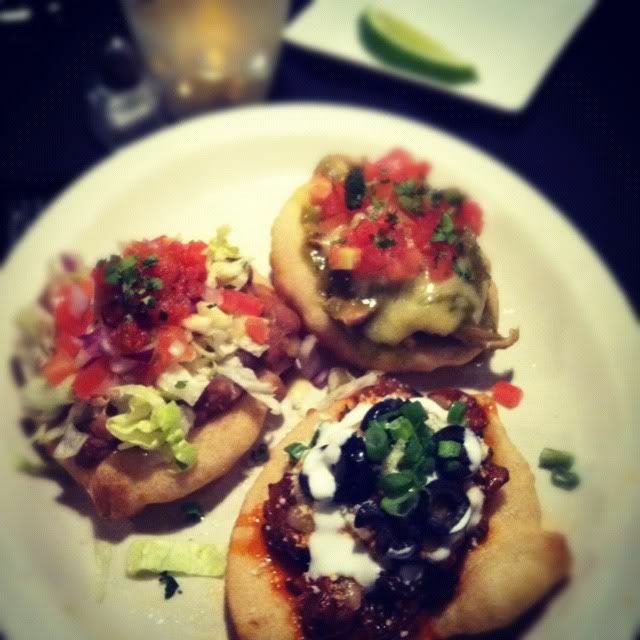 Or the Navajo Taco Trio (pictured above). Have some frybread on the side. Finish with the Orange-Habenero Creme Brulee.